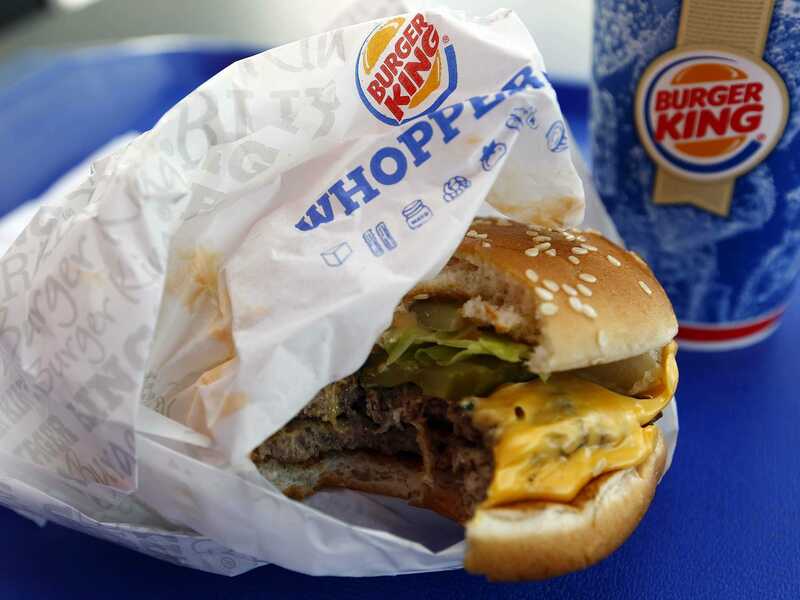 ReutersBurger King just posted the biggest sales gain in 2 years. Burger King is winning during a difficult time for fast food chains. The company just posted its biggest quarterly sales gain in two years. While Burger King boosted North American sales by 3.6%, McDonald’s plunged 3.3%. Burger King has made a few smart decisions that is helping it win over McDonald’s, writes Venessa Wong at Bloomberg Businessweek. Morgan Stanley recently upgraded Burger King’s shares to “overweight,” citing positive trends in the business. The company’s stock has risen 60% in the past year. “The point isn’t to dwell on famously tough times at McDonald’s but to point out that while the burger business is indeed difficult, some chains are managing to succeed,” Wong writes. Here a few reasons Burger King is doing so well. Cash-strapped Americans are increasingly unwilling to shell out for fast food. Burger King has lured in customers with promotions like the 2 for $US5 sandwich deal, Businessweek writes. The brand also started selling 10 chicken nuggets for $US1.49. To help offset the discounts, Burger King raised the prices of some items. While McDonald’s offered a promotion on free coffee, the higher price of burgers is a turn-off for consumers. A Double Quarter Pounder with cheese, fries, and a drink now totals about $US7.50 at some Chicago locations, Bloomberg reports. That’s too expensive for many customers, Leslie Patton writes. 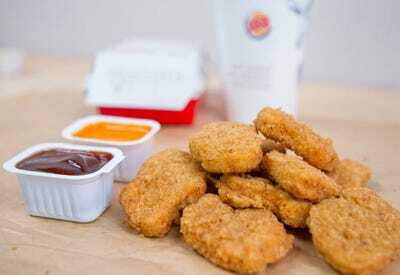 Burger KingBurger King’s promotions, such as 10 chicken nuggets for $US1.49, are helping to drive sales. Burger King decided to focus on “fewer and more impactful products,” Chief Executive Officer Daniel Schwartz told analysts. This strategy benefits Burger King because it simplifies operations in the kitchen, making service faster. It also means that franchisees aren’t shelling out for a variety of products that potentially go to waste. McDonald’s, meanwhile is struggling with a menu that has become too complicated. CEO Don Thompson said the company is working on paring down the menu. “We are streamlining our merchandising menu board and product offerings and in addition to making it easier for customer to order their favourite products, this will reduce complexity in our restaurants which in turn should enhance accuracy and speed of service,” he told analysts earlier this year. Burger King is on-track to remodel 40% of its restaurants by the end of 2015, boosting sales by as much as 10%, executives say. McDonald’s, which has a larger store footprint, “appears to be undergoing renovation at a slower rate,” Wong writes. By renovating stores with a modern feel, Burger King is able to better-compete with fast-casual competitors like Chipotle. While McDonald’s has fallen on hard times, the average store still makes twice as much as Burger King restaurants.